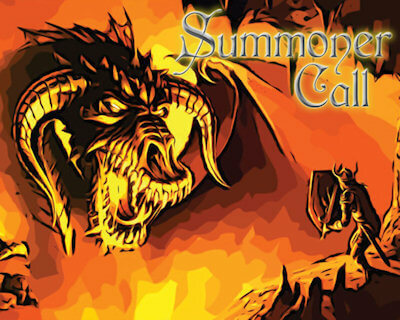 Summoner Call - Status of update 1.9 - Released! As posted on the Facebook page, the 1.9 update is on it’s way. This update won’t be mandatory, but strongly suggested. With this feature, I will be able to add or update the cards without releasing a new version of the game. This means I’ll be able to skip the long certification process required for a full update, as well as fixing card values on the fly. It’s a really important feature that will help to increase the number of cards and keep the game balanced. I have noticed that lots of times players cannot find a game just for a matter of few minutes. A player joins, he leaves, than another one joins a minute later. With this new feature, you will be able to ask the game to find a match for you. Once activated, you can leave the game and do anything you want; once a game slot opens, you will get a system notification so you can access the multiplayer page and join the game. The notifications are not invasive: they last just about 1 hour and are automatically stopped if you access the multiplayer page again. With version 2.0 there will be a major deck rebalance, following the suggestions of some of the users. The version 1.9 is out on Android and within one week on Windows Phone! I’m already investigating such problems in multiplayer games. Please let me have the nickname you use, so I can check your games as well. I too have experienced this in 2 of my first 3 multiplayer games. Doesn’t leave me wanting more. How can this be avoided? I see that this issue dates back to at least October. i was wondering if 25 is the level cap for single player. also, i would like to know if there are card achievements for multiplayer (i.e. gaining a +12 life card at level 10). yes 25 is the level cap for single player games. This is to give the CPU a slight advantage, as it will never be as smart as a real player, and make the game a bit more challenging at the end. Feel free to ask any other question. absolutely yes! Unfortunately in this period of time I have many issues to take care at work, and not much free time. Hi i just bought the unlimited version but dont get any new cards when winning in single player mode…. Is this a bug? Van I import my profile from free edition? Can I import my profile from free edition? I think on Windows Phone that’s impossible, because each app cannot share files with other apps (i.e. saved games, downloaded quests). On Android I’m not sure, what are you using btw? I’m having a problem levelling in multiplayer I always start a level 0 and seem to be fighting much higher level players. A when I do advance a level next time I’m back to level 0. So how do you level a stay there? Please consider the multiplayer level is only to keep a ranking, has nothing to do with the actual game. You get points by winning games, you lose points when u lose a game. So you also lose the current level if you lose too many games. You can check in your games history to see how many points you got from each game. Please let me know if u need further clarification.